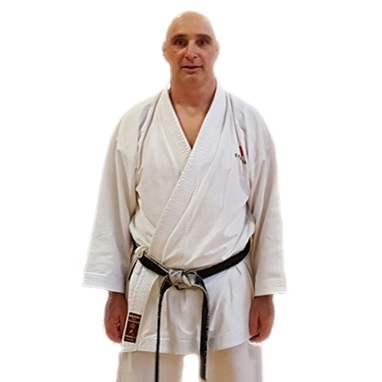 Visiting instructor Sensei Harford is a full time instructor and grading examiner, with his own dojo in Manchester. He was introduced to Karate in 1972 and graded to 1st Dan in 1976 under Sensei Enoeda. He continued to grade under Sensei Enoeda up to his 6th Dan and gained his 7th Dan grading under Sensei Sherry in 2007 and then his 8th Dan in 2015. He enjoys an illustrious record in karate competition, including 1st place in the Senior Kata at the 1980 European Championships held in Bregenz, Austria; 1st place in kata and kumite in the Shotokan Cup and EKB All Styles Kumite Champion in 1987; and being part of the team that spectacularly won the 1990 World Shotokan Championships, defeating Japan.